Love, love this mug! This 11 oz “I do what I want” mug is perfect for me. I’m using this mug to organize my crochet hooks, buttons, & safety eyes. Why? You may ask...hmmm...maybe because I DO WHAT I WANT! 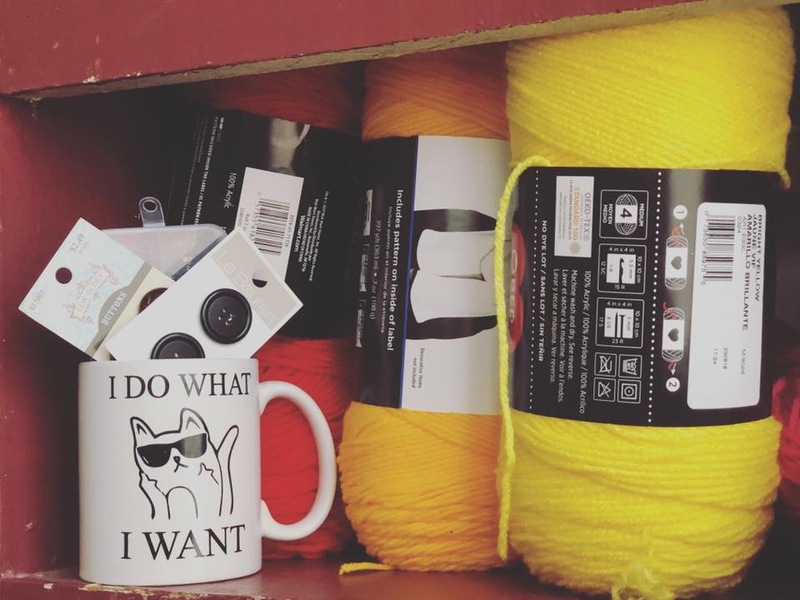 You can use this mug for practically anything...from drinking out of to holding pen/pencils/crochet supplies, gifting to someone, to even a planter for a succulent! The possibilities are endless! This is the perfect affordable gift for your mom, dad, sister, daughter, son, brother, coworker, boss, grandpa, grandma, aunt, uncle, friends, wife, husband, girlfriend, boyfriend or any cat lovers that you want to show appreciation and admiration.. Our I DO WHAT I WANT mug the cutest Cat Lady Mug, for that Crazy Cat Lover. Our Unique funny Cat Coffee Mugs is a simple yet thoughtful gift they will enjoy daily. Purrfect for Xmas, Birthdays, Mother’s Day, Valentine’s Day, office party, New Year celebration, secret Santa or just the perfect gifts to show your appreciation. Great for everyday use, perfect for hot or cold drinks, this 11 OZ Mugs The perfect gift for your loved ones on any special occasion like; wedding anniversary, Engagement, birthday, newlywed. The mug will definitely put a smile each morning after a great night. This charming I DO WHAT I WANT mug is the perfect supplement for your great wedding day whether you are sipping your morning coffee, your evening tea, or any other beverage you love. Show gratitude to the bride or the couple. This is the ideal gift for a bridal party, for your newly engaged friends, engagement party, bachelorette party, and wedding presents or for YOU on your special day!